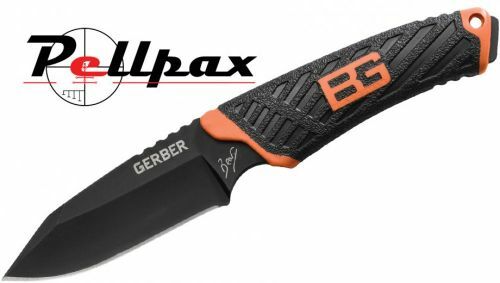 Gerber have teamed up with survival expert Bear Grylls to produce a range of knives that can handle any outdoor situation. The compact fixed blade knife features a blade with both a razor sharp fine edge and a drop point. This makes the knife effective at cutting and slicing as well as puncturing. The blade features a weather resistant black coating designed to keep it sharp at all times. The handle of the Bear Grylls is made from a textured rubber to ensure the securest possible grip, even in wet conditions. This knife comes complete with a lightweight polymer sheath designed to to be clipped to a belt.